On December 1st, IBS ITALIA will be present at the workshop: “Intercultural negotiation: focus on China and Japan”, organized by SprintLazio and ex ICE - Ministry of Economic Development. During the seminar, effective techniques of intercultural negotiation will be discussed and countries culturally different from us will be analysing, like China and Japan. All this, thanks to the presence of an expert in international relations and famous italian orientalist, Professor Franco Mazzei. The last week-end, the U.S. and other Pacific countries met in Honolulu (Hawaii) for the APEC meeting (Asian Pacific Economic Cooperation). In this circumstance, the leaders announced their acceptance of a framework for the Trans Pacific Partnership, a regional free trade agreement comprising the U.S., Australia, Brunei, Chile, Malaysia, New Zealand, Peru, Singapore and Vietnam. 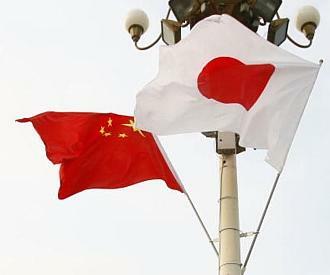 This agreement that cut China and Japan would coordinate regulations in the Pacific region and would be the basis for building the rules for international trade and investment in the region for years to come. Morocco is living a great economic expansion, GDP grows more than 3% and there are a lot of infrastructural works. Italy holds the eighth place as investor country and the fourth as client. On the one hand France and Spain have an undisputed supremacy, on the other hand Italy is gaining more positions thanks to bureaucratic reduction of the Moroccan system. Nowadays, a society can be established in 15 days. On the fiscal level there are some free zones, like Tangeri, that have a tax exemption for five years and then a tax reduction. One fault: rampant corruption, but local system is moving to stop this problem, for example through a vigilance institution and thanks to social and media attention. Finally, we do not have to forget that Morocco is just out of our boundaries and Italy has to respond to business.